Of the many coding boot camps found in New York City, the tech capital of the East Coast, Flatiron School and General Assembly are two of the most established and recognizable. If you’re looking to jumpstart your career as a web developer, both schools offer great Web Development Immersive (WDI) programs. Catered to the beginner, these programs aim to engage students in a fast-paced learning environment that will directly prepare them for professional opportunities. But what are the key similarities and differences between these schools? An immersive bootcamp is also called a “0—60 course” (as in 0 mph to 60 mph), since it gives students a fast-paced education of the basics of web development and brings them up to speed with the professional skills needed in the tech world. Students will live and breathe web development for 12 straight weeks—and, if you include the pre-work required for Flatiron, even longer. 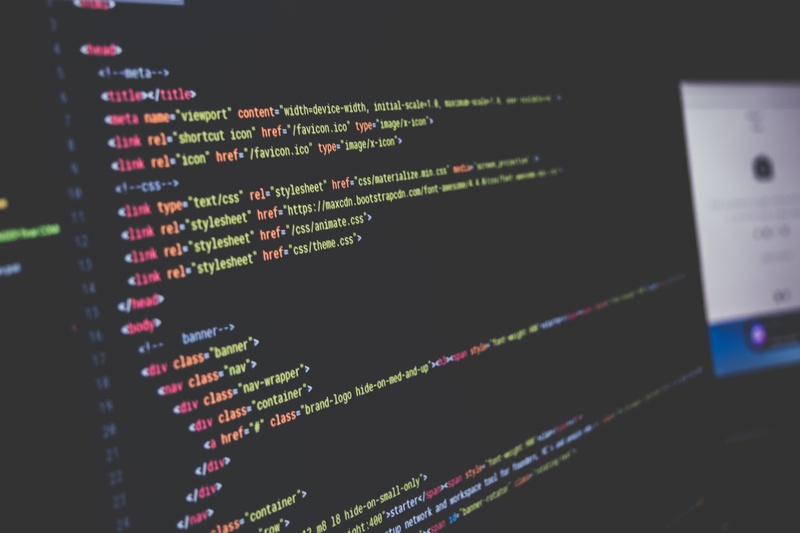 Flatiron notes that admission to their program is highly competitive and requires not only a successful interview, but also the completion of a coding exercise to demonstrate the student’s abilities. According to Rebekah Rombom, Flatiron’s VP of business development, the school accepts around 6% of applicants—a rate that rivals many Ivy League universities. Complete a phone interview with the GA team. Complete an assignment which should take about 10 hours to complete. You have 7 days to complete this assignment. Find out if you are accepted or not. Once you're accepted to the course you are assigned 40+ hours of pre-work and encouraged to work through Dash (GA's free coding tool). For an enlightening comparison of admission experiences between these two schools, check out this blog post by Christine Codes. So it all seems great, but how much do these programs cost? Well, Flatiron’s tuition is $15,000— about $1,500 more than General Assembly’s WDI class priced at $13,500. Both schools offer scholarships for underrepresented groups in the tech world, like women and minorities. General Assembly currently offers a variety of scholarships through their Opportunity Fund, many of them qualifying for the WDI program. So if you fall into one of these groups, you can get a significant tuition deduction. And for those with unique financial circumstances, Flatirons notes that, “Payment plans are available on a case-by-case basis for students who need help funding their education.” Likewise, General Assembly has variable payment plans for their tuition. Both schools include information on loans and repayment plans for student financing on their websites. After completing Flatiron’s coding program, students can draw from a variety of career resources, including networking, interview training for tech jobs, and career counseling. Flatiron school provides a detailed next-step analysis of their students in their independently verified Job Placement Report. Based on these numbers, 99% of Flatiron students (from all programs, not just the Web Development Immersive) found relevant work within three months of graduation. GA's placement rate is 99% in 180 days. Since full-time immersive programs launched at GA in late 2012, they have helped over 3,400 students from its fifteen campuses achieve an outcome. 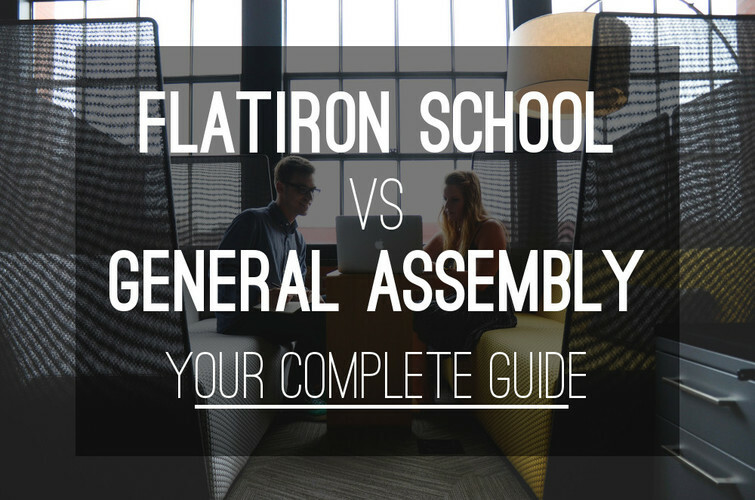 Is Flatiron School or General Assembly Best for You? Both coding boot camps have excellent reputations and set out to accomplish the same thing: to train their students to become capable web developers in a relatively short of amount of time. Of course, the efficacy of these programs depends heavily on the student’s own personal commitment to learning. One reviewer of General Assembly’s program said, between school and homework, he spent nearly 12 hours each day on his coding education. This level of high-intensity learning—during and after school hours—seems to be more the rule than the exception for both programs. The mandatory 150 hours of pre-work for Flatiron’s school is an understandable requirement (especially for these fast-paced classes), but might put off students who prefer classroom-based learning to individual learning. General Assembly’s less stringent requirements and considerably lower price tag might be appealing for those intimidated by Flatiron’s competitive program and pre-work requirements. Both schools have extensive career resources for their students, including invaluable networks of professional contacts. However, that being said, Flatiron’s excellent job placement numbers seem to be better documented than General Assembly’s. Although this is a review of WDI programs in New York, it’s worth noting that General Assembly offers this same program in multiple cities (like Chicago, Austin, and Los Angeles)—often for less tuition than their NYC offerings. Overall, Flatiron’s program seems to be geared towards those pursuing a profession as a web developer, while General Assembly’s seems to be for anyone looking to broaden their skills. On the course website, General Assembly highlights the diversity of its students, who include journalists, business analysts, and entrepreneurs seeking to apply their coding knowledge to their area of expertise.